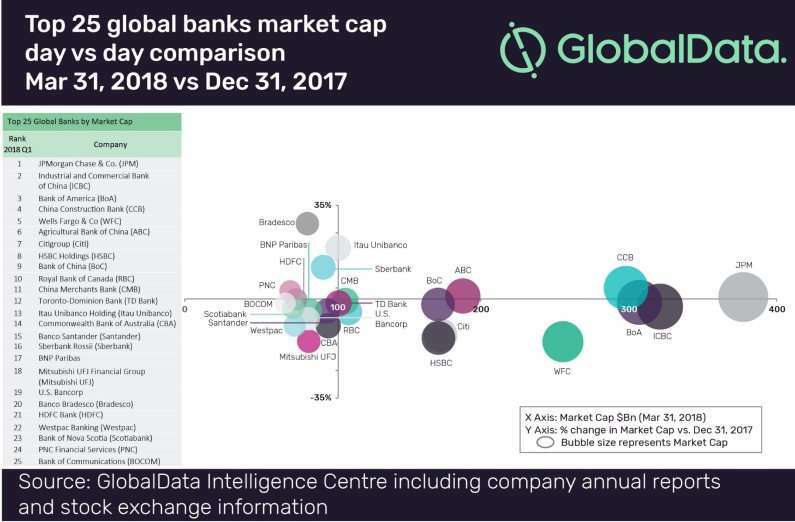 The performance highlights of the Top 25 publicly traded global banking institutions by Market Cap (Mcap) for the quarter ending March 31, 2018, have been analysed in the latest research from GlobalData, a leading data and analytics company. The completed analysis revealed a number of interesting insights. The top 10 players in 2017, based on market cap, continued to remain in the top 10 even through Q1 2018, reflecting their consistently strong business performance. 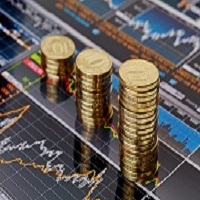 JPMorgan maintained the top spot, while others saw some minor changes in their positions. The overall list witnessed a 2.1% decline with an aggregate M cap of $3.7tn. 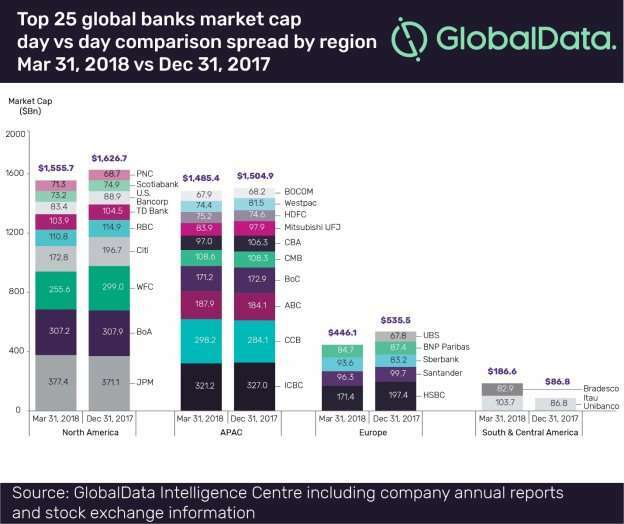 Around 64% of the Top 25 players reported a decline, with major losers being Wells Fargo, Mitsubishi UFJ and Citigroup – all recording a quarterly decline of over 10%. Bank stocks are taking a hit despite an anticipated rise in interest rates, due to a variety of factors including rising protectionism, the potential for a prolonged trade and tariff war, and the fall in treasury spreads. Of the nine players that reported positive Mcap performance, only three – Bradesco, Itau Unibanco, and Sberbank – experienced a 10% growth. Sberbank continued to consolidate on its impressive run by climbing three places to reach 16th spot at the end of Q1 2018, on the back of a declining Russian bond yield, better margins, and a highly diversified loan portfolio. The geographic concentration of the Top 25 remained the same with North America leading the way, followed by APAC, Europe, and South & Central America. Barring South & Central America, all three geographies witnessed Mcap declines of 4.4%, 1.3%, and 16.7% respectively. The declines in the North America and APAC regions were driven by the same overall factors affecting the banks. For banks in Europe and South & Central America, the number of constituents was more of a key factor in Market Cap variations. Bradesco cruised into the Top 25 by jumping seven places from its previous 27th, achieving an impressive growth of 28.4%, led by an increase in the number of outstanding shares. This resulted in UBS falling out of the Top 25.